Editor’s Note: Perhaps the truth is out there, but it is just encrypted. It is perhaps very likely that intelligent life much more advanced than ours would guard the secrets of its communication more closely than civilizations on earth, who have just opened up to the range of communications, and only recently stumbled across the importance and practice of encrypting it for select audiences. 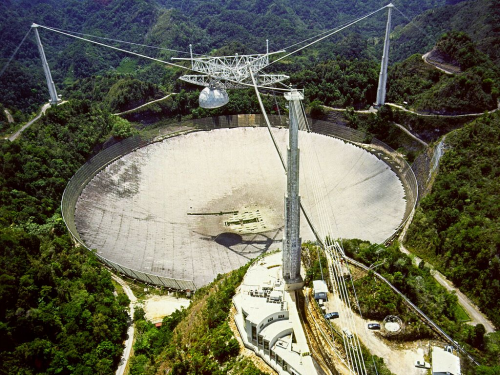 Will greater advances in descrambling messages from signals believed to be only noise be the key to SETI, as it was in the movie Contact? No clue here, but it’s worth a thought. These days you’d be hard pressed to find someone who doesn’t believe there is any alien life in the universe. Statistically speaking, it just seems unlikely that there wouldn’t be any other life forms out there. But if our universe is teeming with life as many have suspected, why haven’t we been able to make contact with any of these creatures? This article was posted in Aliens, Conspiracy Fact and Theory, contact, electricity, Encryption, extraterrestrial life, mass, Mind Control, radio, seti, Signals, surveillance, Technology and tagged Energy. Bookmark the permalink. Follow comments with the RSS feed for this post.Comments are closed, but you can leave a trackback: Trackback URL.